Do you have an online business and want to find effective ways of generating qualified leads and maximise your sales? Are you launching a new company and want to know how you can effectively find new users for your product/service maximising your growth while cost per acquisition? Do you want to reach new clients locally and internationally but you don't know how to do so and which markets you should target first? 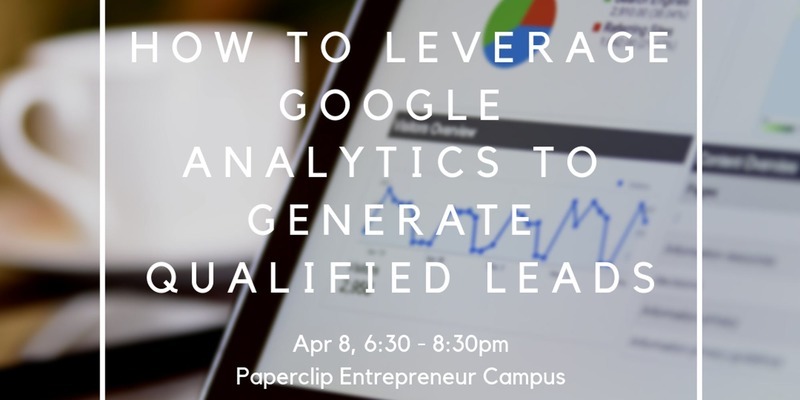 If the answer to one the three questions above is "yes" then you should attend this workshop and learn more about Google Analytics full potentials. By mastering some of the key components of Google Analytics you will be able to take decisions fast and effectively so to improve your lead generation while considerably reducing the cost per acquisition for new users or clients for your product. Effectively set up a Google Analytics programmatic monitoring so to continuously measure the performance of your products or services. Paolo Petrolini has over a decade of experience in product management, data science and process engineering having served as the Head of Trust & Safety at Google in Switzerland. While at Google he has launched and worked on products like Google AdWords, Google Plus, Google Shopping and Google Accounts. Mr. Petrolini is the CTO of Digital Nomads LTD, an engineering-driven and leads generation focused marketing firm based in Hong Kong. Mr. Petrolini is also an advisor to companies in the field of product growth, process management and quantitative customer research. Mr. Petrolini is a recognised coach and mentor in the Startup community in Europe and Asia, being actively involved in the Mass Challenge, Kickstart Accelerator and Google Launchpad programs in Europe and in Mettā in Hong Kong. Sign-in to get the exclusive discount for WHubber.